Northwest Paragliding Club Blog: Israel – a paragliding destination? 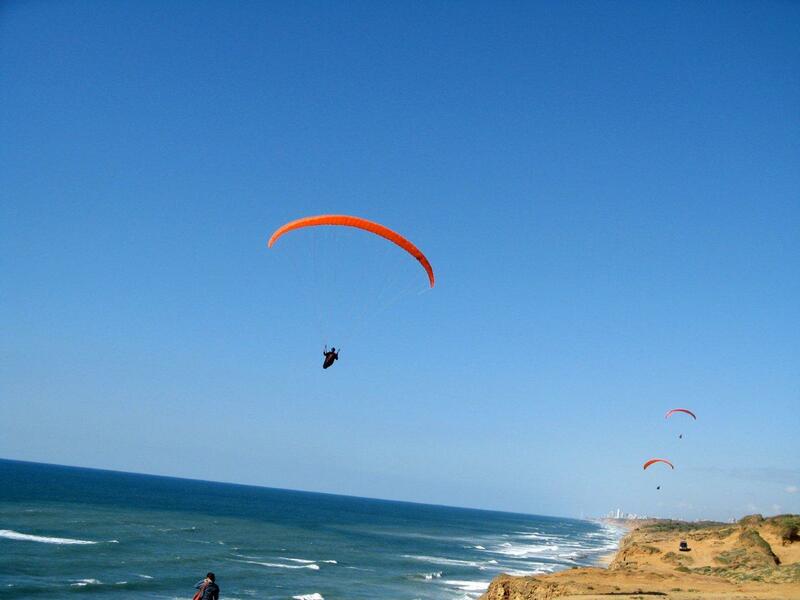 Israel – a paragliding destination? The answer is a resounding “Yes!” if you ask the Israelis in our flying community and the local pilots who have made the trip with APCO distributor Bob Hannah. In a country the size of New Jersey, there are at least ten flying sites, mostly in the northern, non-desert half. Given the prevailing weather while C.J. and I were there, we got to visit only half of the sites. 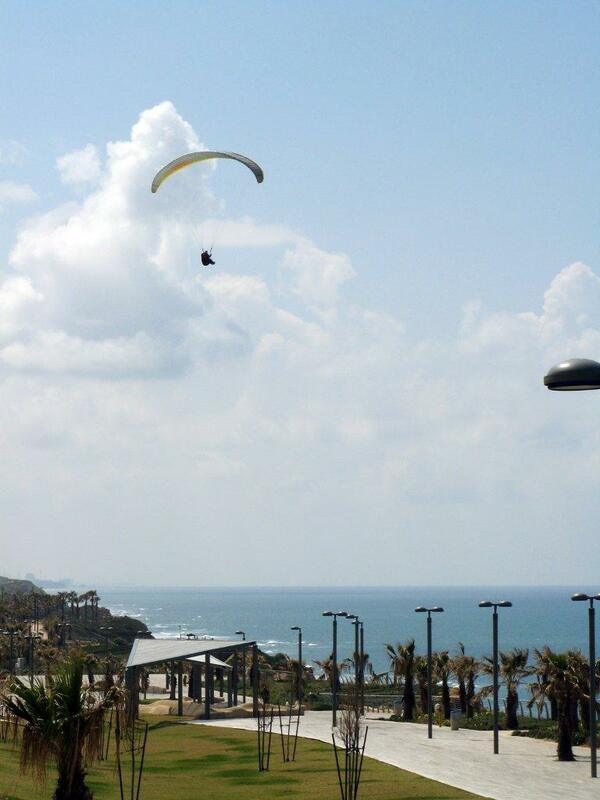 Netanya, a ridge-soaring site 35 km north of Tel Aviv, right on the Mediterranean coast and our base at the APCO condo, has two launches both in grassy parks above steep cliffs. Great for ridge soaring. The remainder of our first day was pretty much blown out but on the next day Bob and Mark demonstrated how to launch and gracefully clear the fence that keeps hapless park-goers from falling down the side of the bluff. To make full use of the week and a half we spent in Israel, we headed out in heavy rain on the third day to tour the Negev desert to the south – just past Beer Sheba that rain quit and the desert began. Although the wind was too strong to fly we made a quick stop at the Mitspe Ramon site overlooking Israel’s version of the Grand Canyon. Continuing south to Eilat we drove along the Sinai border with Egypt, which was impressive for its concertina wire and tank traps. The next day, after a pre-sunrise climb of Masada, we drove along the Dead Sea and climbed to the east-facing Dragot site, but the winds were not cooperating. However, west winds meant that it was ON at the Mediterranean Coast so we drove over the Mount of Olives and through part of Jerusalem to reach the Arsuf site, a stretch of sandy ridges that rewarded us with perfect ridge soaring conditions. 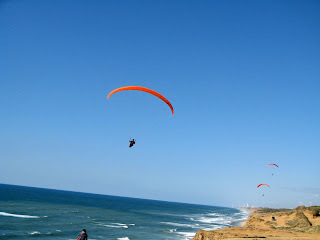 The resort hotels of Netanya were visible just 10 km or so to the north but no one was trying for XC that day. We hit three sites on our fifth day, the first of them a multi-use airstrip. 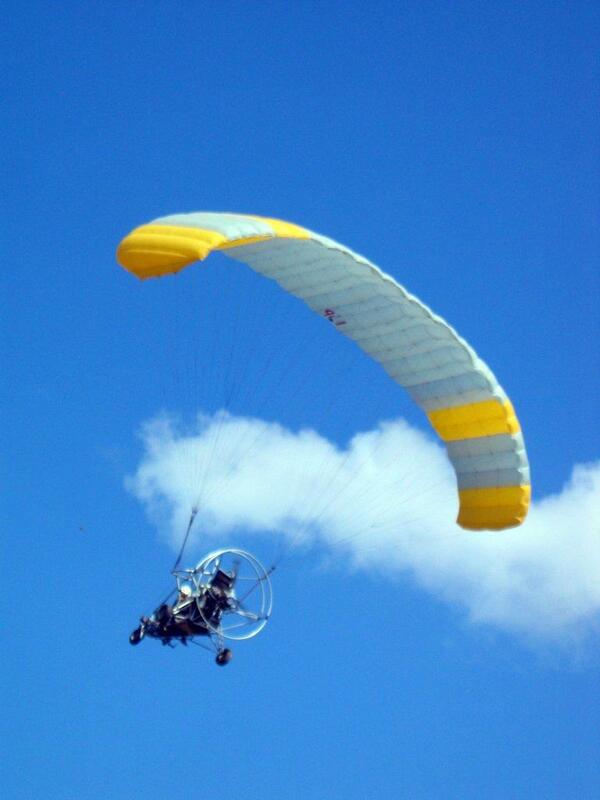 Yariv Ben-Tovim had invited us to join him for a flight in his powered parachute. It was interesting to fly with a local guide (low, since PPC are restricted to 500 ft over the ground) over Jewish and Arab communities and the associated fields full of shade structures for vegetables and flowers. 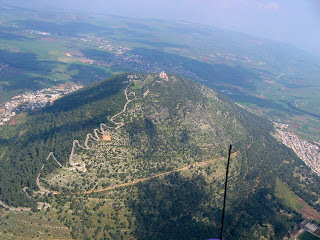 We left the airfield under a cu-filled sky and drove to the area around the Sea of Galilee to Mt. Tabor, the site, in Christian tradition, of the Transfiguration of Jesus. While conditions were thermally soarable we did not get high enough to look down at the monastery perched on top of this isolated hill. 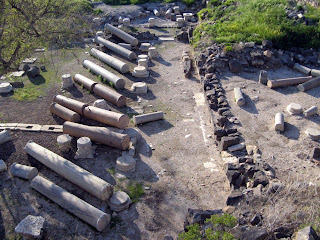 After landing it was still early enough to head farther east and try Mevo-Hama on the southern end of the Golan Heights directly above the Sea of Galilee. It was a pretty good bet that Mevo-Hama would be working because Bob had called Moshe, a pilot living across the “sea” from the site, and he could scope out people soaring. A mix of ridge and thermal kept us cruising above the long, high ridge for as long as we had time for. Toplanding would have been easy but our vehicle met us in the huge, grassy LZ and whisked us off to dinner with Yariv and his family. 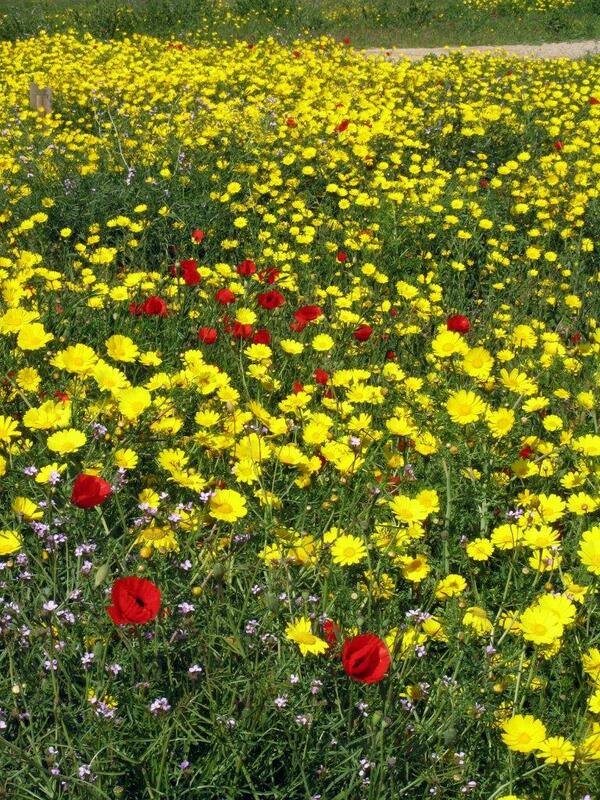 Monday the winds turned north, which is the one direction that does not seem to be covered by the sites in Israel. We went out to Mevo-Hama anyway and Bob got in a short flight before the rest of us looked at the windlines on the Sea of Galilee and, heeding the advice of locals, decided to find something else to do. C.J. and I hopped out of the van at the entrance to Susita/Hippos National Park, an excavated settlement from Biblical times, while Bob and Mark went to have coffee with Moshe. Reaching the summit of the hill after checking out all the ruins, we found a trail down the back side all the way to the Sea of Galilee. Although this area is still riddled with unexploded land mines (signs all along the roads warn against wandering out into the fields), we figured an official parks trail would be safe, and it made a scenic alternative to retracing our steps and walking down the road. Shortly after we reached the seaside town of Ein-Gev, Moshe proved the rule about how hospitable Israelis are by inviting us all to dinner with his family. Since the weather did not look to be improving C.J. and I booked an all-day tour of Jerusalem for Tuesday. 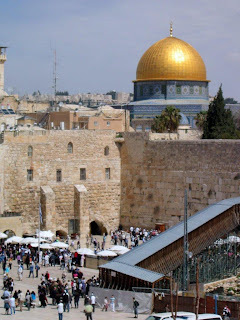 We spent several hours in the Old City seeing the major sights such as the Western Wall and the Church of the Holy Sepulchre, then went to the Yad VaShem Holocaust Museum for the rest of the day. 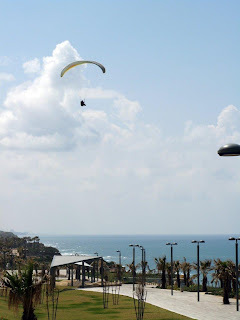 We returned to Netanya knowing that we would have to return to Jerusalem for several days if we really wanted to experience more than a fraction of the city. Time was running out but we made the most of our last flying day by returning to Mt Tabor and getting high over the summit. Nazareth was visible to the west, the Sea of Galilee to the northeast and the Basilica of the Transfiguration was below us. Mark surfed the cloudstreet all the way to the far side of the Sea at Ma’agan and we followed, but in the van, for another great Middle-eastern lunch with Moshe and his children. 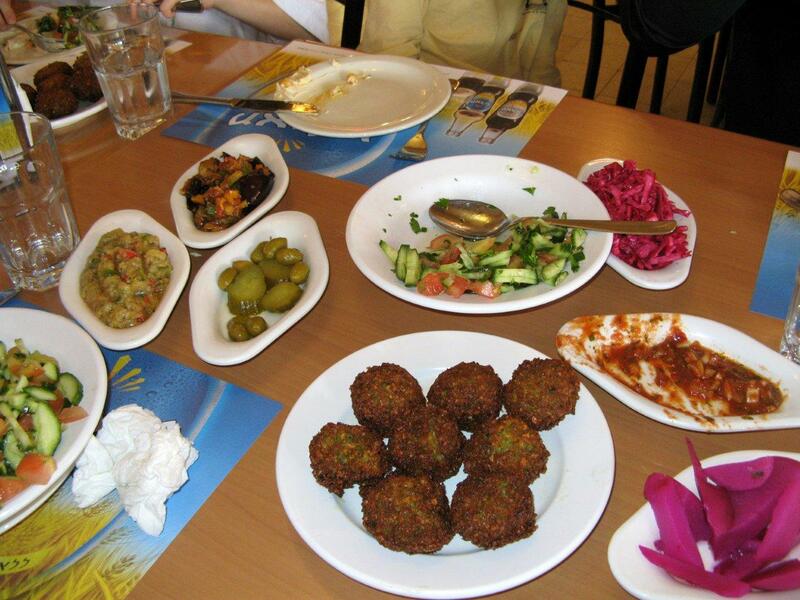 Speaking of lunch, food in Israel was really tasty. We ate a lot of the national fast food, falafel, but there were plenty of standard international foods on the menus as well. The Middle-eastern lunches with many small plates of pickled this-and-that, hummus and other sauces and, maybe, a skewer of chicken or beef kebab were particularly delicious. It was a surprise to find such excellent food in cafes attached to gas stations. There were no Starbucks; but there were plenty of other coffeehouses, and if you were really desperate, McDonalds. Our last day was blown out from the north again so C.J. and I spent much of the day at Caesarea, a sea port built by King Herod and taken over by succeeding conquerors – the Romans, Muslims, and Crusaders, among others. In the afternoon we drove down to Arsuf just in case the wind might have turned more west, but, alas, it was not to be. 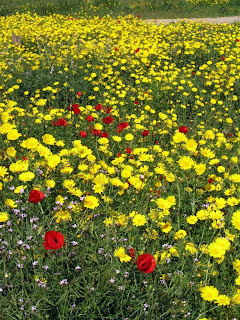 Nevertheless, the spring wildflowers were out in red and yellow profusion and we all wandered through the fields, cameras in hand, in a quest for the perfect flower photo. Our flight from Seattle to Israel on British Airways left at the civilized time of 7:30 p.m.; but we had to crawl out of bed at 2:30 a.m. for our return flight from Tel Aviv. Security did not seem as onerous as I expected although we did have to put all of our bags, not just carry-ons, through a scanner before we got to check-in. Maybe the letter from APCO that said we had been their guests kept us from any serious grilling about what we had been doing in Israel, but, in any case, we sailed right through all the checks and boarded our plane in what seemed like record time. Security and safety were concerns before we went to Israel, especially as the Mideast started to heat up with the ouster of Egypt’s president. 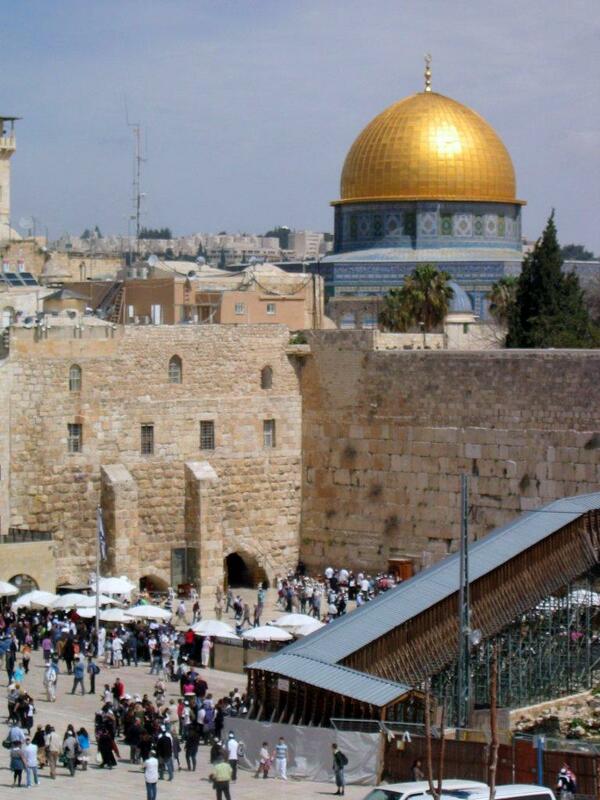 However, I felt safer in Israel than I had in Ecuador and Brazil – where C.J. and I had both lost beltpacks to thieves. It did take some change in attitude to get used to seeing IDF soldiers, men and women, carrying their weapons on the street, or in the store, or walking with their friends. It’s just how they do things in Israel. Would we go back? For sure. There are still sites to be flown and cities and history to be explored.